What Programming Language Do You Need to Know in 2019? A successful technology career depends on keeping your skills fresh and up to date. This rule especially applies to software engineering, where new programming languages seem to appear on a yearly basis. That doesn’t mean a few older examples, like Java or C#, aren’t still in demand throughout the industry. 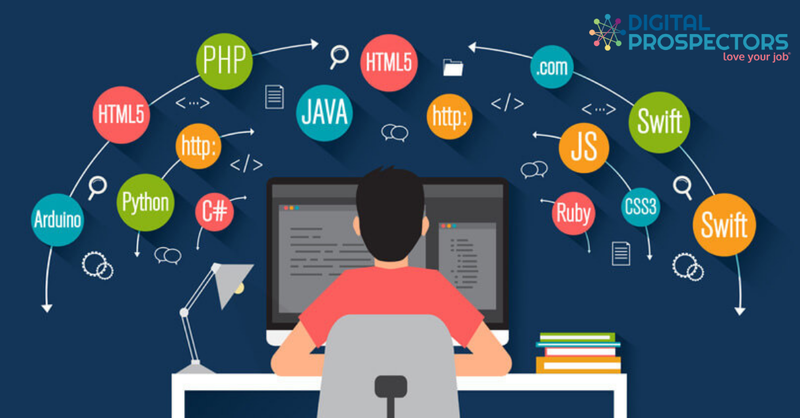 Let’s take a closer look at some of the hottest languages currently used by software developers. Spend time learning one or more of these to keep your professional life trending upwards. Also consider earning a certification to give your résumé an extra boost. Here’s a quick overview of all three. Python is known for its flexibility as well as being easy to read. Its syntax relies on brevity; dispensing with many of the extra characters and operators used in other languages. It works well in object-oriented programming scenarios while also being suitable as a functional or structured language. This support for functional programming makes it perfect for data analytics and AI projects. It’s one of the major reasons Python is growing in popularity nearly three decades after it first appeared. If you want to work in data analysis or machine learning, consider adding it to your skill set. Go – short for Golang – was created by a collection of Google engineers. It combines the power of strongly typed languages like Java and C# with the terse syntax and simplicity of Python. The reason for its newfound popularity lies in its suitability for concurrent processing – a feature necessary for high-traffic internet applications among other use-cases. Expect the demand for Go programmers to remain high for at least the next few years. When you need advice on growing your technology career, talk with the knowledgeable recruiters at Digital Prospectors. As one of the top IT staffing agencies in Boston, we know the companies looking for talented professionals like you. Connect with us soon!